So the latest thing to add to my collection of equipment is something to hold it all. But one of the most recent challenges came when I added a battery grip to my 5D mark 3. 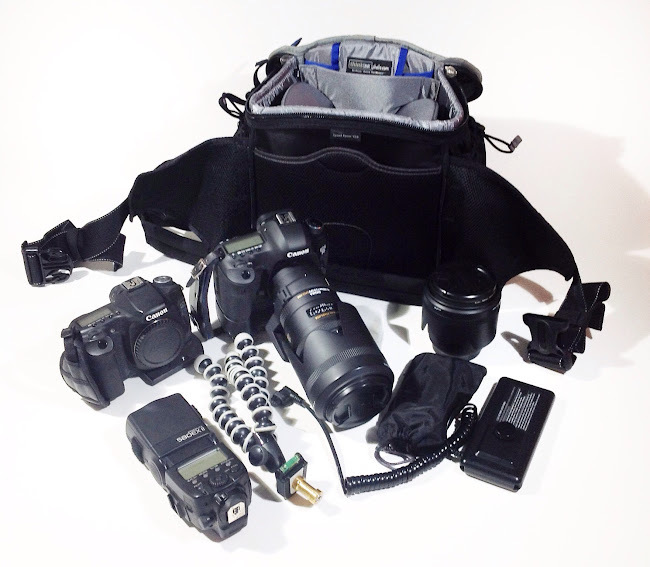 Like the 1D series and other professional sized SLRs is finding a bag that would fit all of that. The next challenge was to find a bag to pull some weight off my right shoulder. As of late I've been experiencing more shoulder aches. 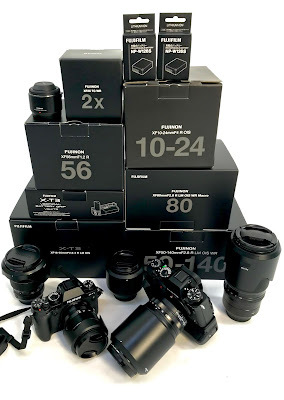 Now some of you might ask what happened to my four thirds equipment and the short answer to that is that I sold much of it off and gave the main body to my wife. I do miss the small compact form of the Olympus EP-3, but at the end of the day, it wasn't really fitting the bill of the type of work I was doing or my workflow. That said, I needed to find a way to balance the weight on my body better. The interesting thing about this challenge is in one of my hobbies I actually build body armour. Body armour can reach easily weights of 50-60 pounds, and it's important I design it for mobility but also weight distribution. I'm fully aware of putting 20 pounds into a bag, and strapping it across the shoulder, so I'm not surprised that I'm feeling it there with my gear. Today I happened onto the Think Tank Speed Racer V.2 belt bag. A bag that has been well reviewed across the internet, but one that I personally hadn't seen before. I got the chance to try it out today at Kerrisdale Cameras for the first time as they recently became a Think Tank dealer. I fell in love with it almost instantly. The size, the weight distribution, and the should strap designs were better at distributing the weight so it balance a load across the waist and onto your shoulder. Even with the bag fully loaded I can already tell this will be a relief on my shoulder. Pictured above is probably the maximum you should ever load it up with my Canon EOS with Battery grip, a spare body (Canon EOS 50D) with body cap on it, the Sigma 70-200mm F/2.8 HSM OS, Sigma 85mm F/1.4 HSM, A Gorilla Pod, Spare battery set for the grip, Canon Speedlite 580EX and external power pack for the Speedlite. What's not pictured in here is also a sling strap, filters, CF cards and other various accessories. I also can, but don't recommend, put my iPad in a media slot that sits right between the camera and the accessory pocket. It's snug and a little tight to do so. If I didn't have the battery grip on it, then I would certainly feel more comfortable about that. All in all though, I'm really impressed with the build quality and how much I can fit into this bag. Tomorrow I have a fashion shoot, so I'll really put it through it's paces, but I suspect it will work out well.